Tired of wandering aimlessly for something to do, unresponsive admins, laggy servers, lack of friendly players, or just being bored? 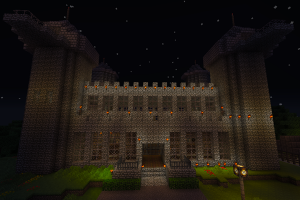 Then Kingdom of Heroes is the server for you! 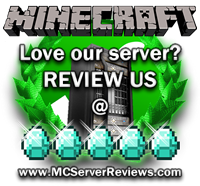 The purpose of this server is for you to log in and be able to have fun! No lag and the freedom to go everywhere and do what you want! There is truly something for everyone with Towns, Building, PvP Arenas, Adventure Map Nights and other special events, and more! Our server is hosted by VMLWeb in Paris with 100MBit connection which allows you to have smooth time on the server! Our server tries to enforce a fair policy between players by making sure all the following rules are followed by players on the server. Failure to do so can result in a in-game jail sentence or immediate banning depending on what took place. Admins and mods have the right to make their own decisions on any wrong doing on the server. Not answering or responding to staff. Entering someones property if it clearly marked by either signs, doors or fences. Stealing blocks or items from a player. Using mods which affect game play or give you an unfair advantage, examples include flying and smart moving mods. Being threatening, being vulgar, insulting, racist to anyone on the server, a group or a specific person in chat or through other means. Not repairing creeper explosions in places which are on public paths or are part of someones property, if you do not have the resources to do so, please let a moderator know or say so in chat. Building obstructive buildings in unsuitable areas. Obtaining items in survival in an illegitimate way either by spawning, hacking, modding or glitching. Greifing or destroying areas for no reason. For example with TNT, lava, water and fire. Killing or stealing other players animals which are clearly owned. This is the default typical rank on the server. You will be this rank when you first join. 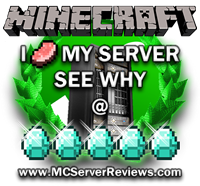 This rank can be earned by spending time on the server getting to know people and have properly fitted in with the community plus filling out the form here. This rank will allow you to use all items which are legitimate available like Lava, TNT and Flint and Steel. A privilege player will earn this rank, it a moderator rank for people who have not payed. This rank is not given out often. This is the VIP rank and can be purchased, see here for the benefits and cost. The moderators on the server, they have purchased the Noble Package and have contributed greatly to the server and have been rewarded. They have the responsibility of maintaining a civil server for the Kings. This rank is for the two owners, they have power to everything. This rank cannot be earned nor purchased. Anyone imprisoned will be given this rank as precaution when they are released if a staff member does not fully trust them after letting them free. Being this rank disallows you from building or interacting. There are 0 Positive and 0 Negative reviews of “Kingdom of Heroes” sorted by most recent. By clicking submit, you agreed to the rules and are using or have played on Kingdom of Heroes.